Look ma, Sony has finally put its bezels on a diet! And it also gave up on the vintage 16:9 display aspect ratio! Is 2018 the year in which this company will finally be taken seriously in the mobile world? Maybe. Then again, the Xperia XZ2 still has obvious, in-your-face display bezels, they're just much smaller than what we were used to from past Sony flagships. That's progress, but for people who love phones being almost all screen on the front, it still won't be enough. 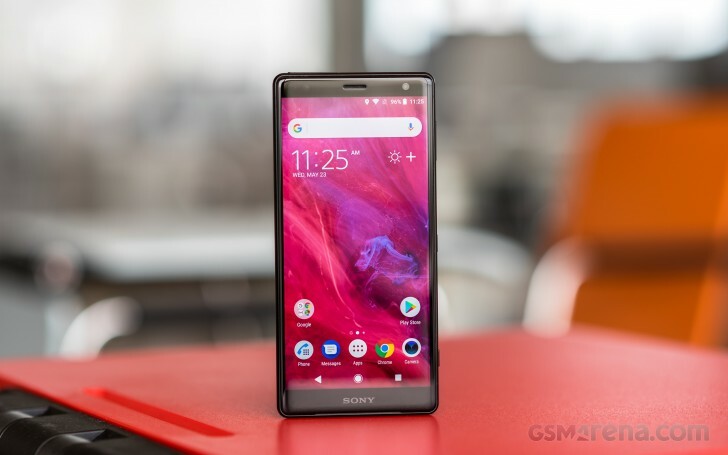 And while the trademark blockiness of its previous designs gave way to slightly more curves, the XZ2 can't be confused for anything other than a Sony smartphone. If that's a good thing or a bad thing depends on how much you love standing out in a crowd of iPhone and Galaxy-toting people. What we wanted to find out is whether the XZ2 can stad out in the very crowded field of the top-of-the-line Android handsets, in more ways than just its looks. After many years of iterative updates to its flagships, we're anxious to see if Sony finally found its vibe, perfecting the top notch device formula without using a literal notch at the top of the screen. With the first ever fingerprint sensor that isn't disabled in the US, can the Xperia XZ2 help the company achieve greater visibility in that market and go from being big in Japan to being big... everywhere? We're definitely intrigued by the possibility. The Xperia XZ2. A small step for Sony, a big one for mankind? Let's find out in the next pages of this long-term review. To be able to adequately evaluate what it's like to live with this smartphone every day, we've used it as our one and only device for an extended period of time. This is what that experience felt like.